Unlock Sony Ericsson Xperia Neo V (MT11a MT11i) - Safe IMEI Unlocking Codes for You! 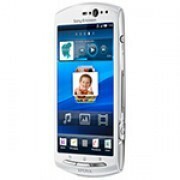 Unlock Sony Xperia Neo V (MT11a MT11i) Handset! In case your Xperia Neo V (MT11a MT11i) doesn't ask for the code and there is no designated field to enter it, please DON'T PLACE ANY ORDER, contact us first for support. Need to break free from your network so you can use your Xperia Neo V on any GSM network across the globe? SafeUnlockCode can ensure you a safe, secure and super easy unlock process. On top of this, our prices end up being a whole lot cheaper than the prices from mobile network operators, and we you can get unlocked within minutes after following this guide! Not looking to unlock the Xperia Neo V? Check our huge list here to unlock a different phone. Being unlocked will give you access to a ton of networks across the globe such as Vodafone, O2, Orange or AT&T. Unfortunately we can’t send you an unlock code without a little bit of help from you first- we’ll need the first 15 digits of your IMEI number, (can be found by dialing *#06#) the network your Xperia Neo V is locked to, and of course the country the phone was purchased in. It would also be smart to check if your Xperia Neo V is hardlocked. Being hardlocked means you cannot unlock your phone anymore because your unlock attempts have run out. The number alongside ‘network’ represent your unlock attempts remaining. As you can geuss, a 0 means you can no longer unlock your phone, and if this is the case, unfortauntely neither can we, so please DO NOT place an order. How to Unlock Sony Xperia Neo V (MT11a MT11i) Phone - Tutorial! Email address so we can contact you with an unlock code. Next proceed to pricing and availability, and then place an order. Once you make your order and receive an email, get your unlock code and turn on your phone with a new SIM (with a network differing to your usual SIM) and then wait for it to power up. A screen should appear asking for the unlock code. You can enter it here, and you will have unlocked your Xperia Neo V! Having problems - contact us! Does it cost much for one code?